We want to encourage the church to release the gifts of ministry among all its members, especially those who serve and lead in different contexts. Lay and ordained ministers have an equally valued role in the Body of Christ, working together to build up the church and encourage its mission. Living this vision requires us to look again at the way we train, license, resource and support lay ministers and ministries. Ministry is a response to the needs of the Church and the world and is part of every Christian’s calling to love and to serve. 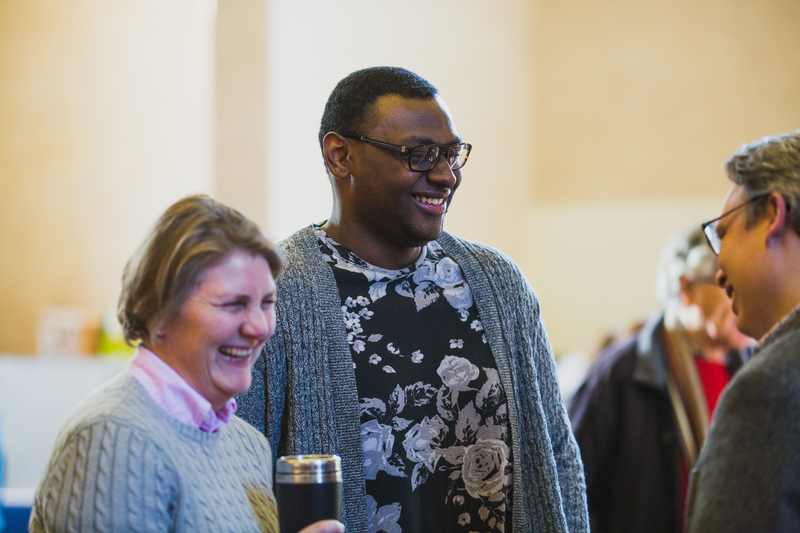 As part of the Renewal and Reform of the Church of England, we have been consulting on how we can share, celebrate and learn from the incredible diversity of lay ministries and ministers serving God every day. The Church at all levels has a role to play in encouraging and training people in the skills needed for service. When that service takes on the character of public ministry then particular forms of training and authorisation may be required. Recognised minsters would usually be supervised by the incumbent or a delegated responsible person authorised or licensed to lead an area of work. There should be regular local review for renewal of recognition. Responsibility for safeguarding training and checks lies with the PCC or other local responsible body. Authorised ministries represent the church in the wider community. Examples of authorised ministry includes pastoral assistants, worship leaders, preachers, evangelists, chaplains, pioneers or assistant youth and children’s ministers. Authorised ministers are supervised by the local incumbent with final accountability to the bishop. Responsibility for safeguarding training and checks is with the diocese. Licensed ministers are supervised by the local incumbent, with final accountability to the bishop. There should be a regular, ideally annual, review. Note: These categories naturally overlap, and not every form of ministry will fit naturally into just one. These descriptions are intended as a guide to help dioceses release the gifts of all God’s people in the way they plan their lay ministry work. They are intentionally broad and may not always reflect they way you choose to do things. In 2016, we celebrated 150 years of Reader ministry. Since that time, the Central Readers’ Council of the Church of England and the Church in Wales has been working to renew our vision for the twenty-first century. This vision has now been set out in a booklet soon to be sent to all Readers (or Licensed Lay Ministers as they are sometimes known) – and clergy too, we hope – with the title Resourcing Sunday to Saturday Faith. We hope that it will not only encourage existing Readers but will excite a new generation to consider this vital ministry in God’s church. During 2018, a small group of us toured the country speaking to Readers and those responsible for oversight and training of Readers. Every diocese was represented at one of our consultations and we heard both joy and lament. 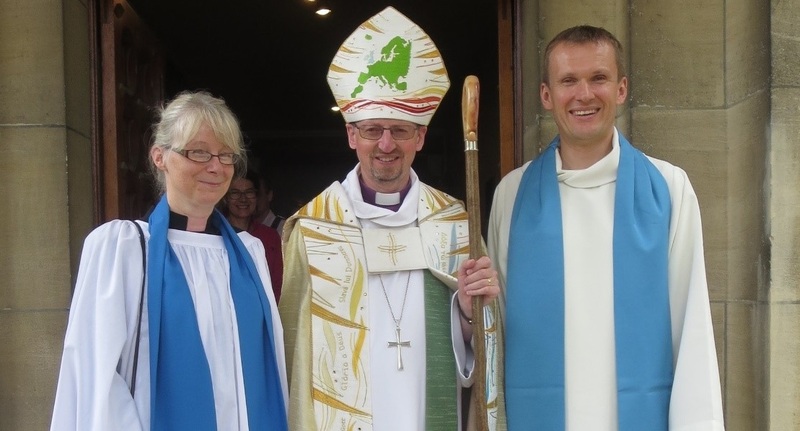 We noticed that lay ministry generally is flourishing – indeed we were surprised that the wider church has not really taken note of this flourishing (despite the call of the national report Serving Together). There are huge numbers of people involved in a wide variety of ministries – everything from traditional ministries such as Churchwarden, PCC member and Server, to more recent innovations such as pioneer minister, leader of Messy Church and worship leader. And Readers themselves number about 9000 and are involved in everything from sustaining the life of small rural churches to training small group leaders in large suburban churches. Everywhere you look, Christians are serving God faithfully, often at considerable cost in terms of time (juggling work and home life) and often unnoticed and unsupported. It really is time we properly celebrated this work of God. So each of our consultation meetings had this note of joy as we observed all that God has done in raising up lay ministers across the church. And we then reflected on the questions that this raises for Readers. What now is the role of the Reader given the proliferation of other recognised, authorised and licensed lay ministries? Is this a threat to the long-term survival of Reader ministry, or is there still a place for a more focused ministry within the wider ecology of ministries? And what about the high age profile of Readers generally – why are younger people not viewing this as a distinct calling for them? And what about the perennial question of clergy / Reader relationships – how do we create an environment for genuine partnership? Our consultations suggested three new foci for Reader ministry in the twenty-first century – Readers as enablers of mission; Readers as teachers of the faith; and Readers as leaders in Church and Society (this third one started out as ‘mentoring and coaching’ but the consultees felt it important to recognise the genuine leadership role of Readers, both in the church and often in other spheres too). So while we continue to celebrate the wide variety of activities which Readers resource (including worship leading and pastoral work), we are suggesting that future vocations, training and support for Readers be focused on these three vital areas of ministry for the future of the church. The booklet Resourcing Sunday to Saturday Faith will unpack each of the three themes and then propose some questions for Readers and for the wider church. The Central Readers’ Council, working in partnership with Ministry Division, is keen to get feedback and to do what we can to support dioceses in exploring the wider implications of these changes. Some have already queried why we have chosen these three themes and others have wondered whether they suggest an unhelpful focus on task and on ‘doing’ rather than ‘being’. These are good questions (we hope there will be many more) and they are addressed in the booklet, but in summary we can say that this has been a prayerful discernment process around the current needs of the church in society, and while the themes are ‘task’ focused, we certainly hope that training will continue to be a combination of ‘formation in community’ combined with ‘ordinary theology’ (i.e. theology which addresses the questions of society and not just the church) and specific skills training. In addition, we strongly believe that training needs to be much more flexible (to fit with busy lives) and therefore may well need to be extended over a longer period of time (with early licensing to allow for more ‘on the job’ training). Alongside the booklet (likely to be distributed in early May), we are also reforming the structures of CRC to make it a ‘community of practitioners’ focused on supporting dioceses to grow the numbers of Readers, to train them effectively and develop a culture of life-long learning. And we are delighted that Ministry Division is soon to appoint a National Lay Ministries Officer who will work closely with CRC’s newly appointed Training and Development Project Manager, Ruth Haldane. Similarly, it is encouraging that a major new research project is just starting with the aim of giving us a clear picture of lay ministry across the church. This will help us to celebrate, to set some clear goals for growth in lay ministry and to support those who serve in this way. It may be rather overdue, but we believe a new season is dawning – a season when we celebrate the diversity and giftedness of all God’s people. If you're looking to become a lay minister, speak with your vicar, chaplain or equivalent, or with the vocations team in your diocese. Good practice and resources to support dioceses in growing vocations to ministry. Research and good practice to support flourishing ministry, including our Living Ministry research project and our work with Transformations for Ordained Women.